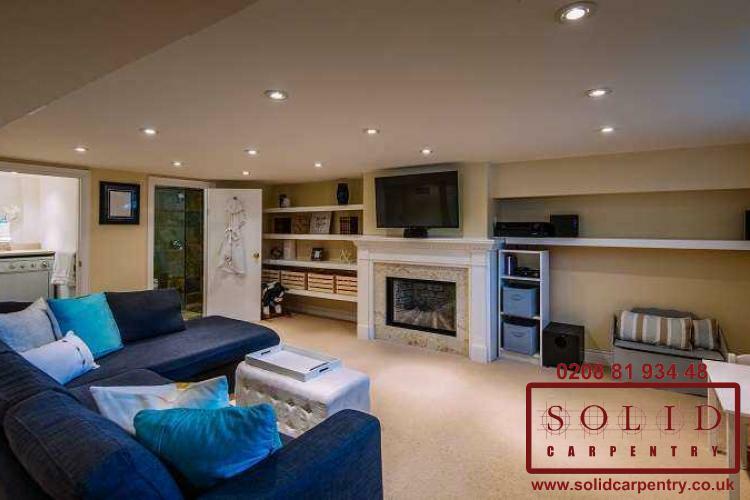 In today’s modern world, the home entertainment system is the centerpiece of most living rooms. 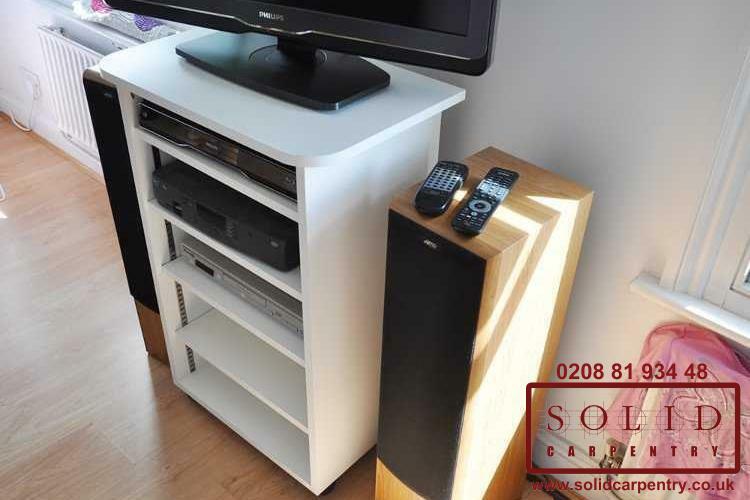 A carefully designed, custom-built media storage unit is the perfect way to present your audio-visual technology, creating a stunning focal point for the room and offering a practical storage solution. 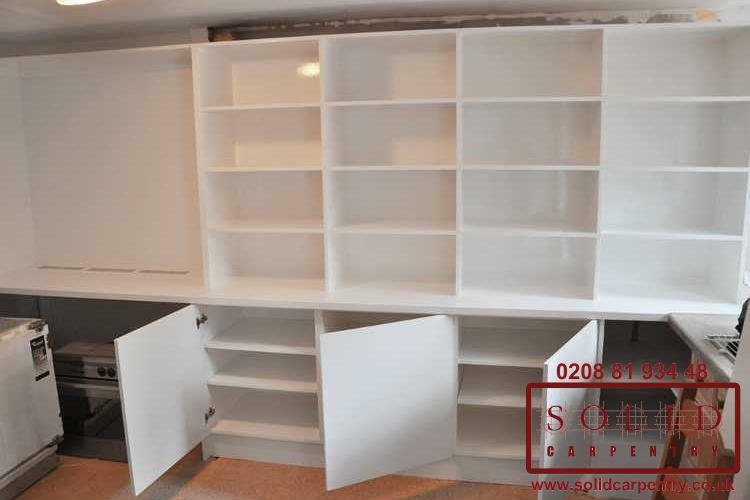 Conceal messy cables and wires, clunky gadgets and games consoles, stacks of DVDs and much more. 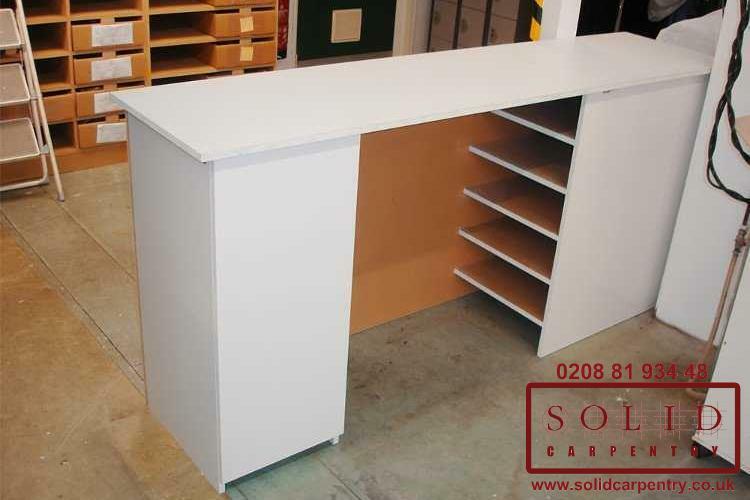 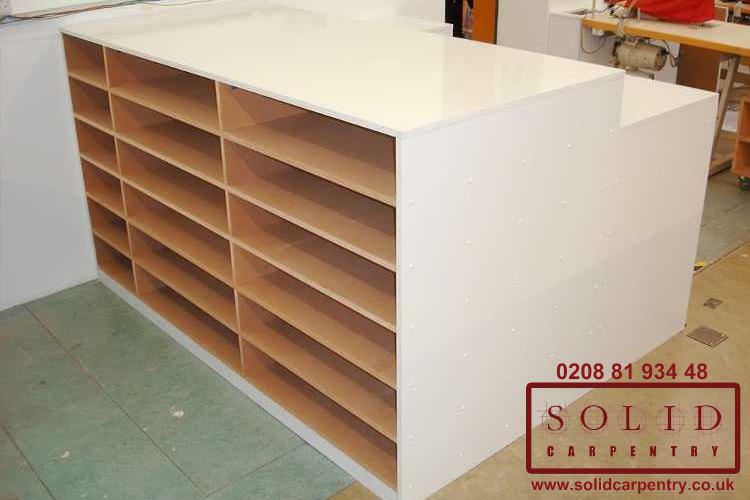 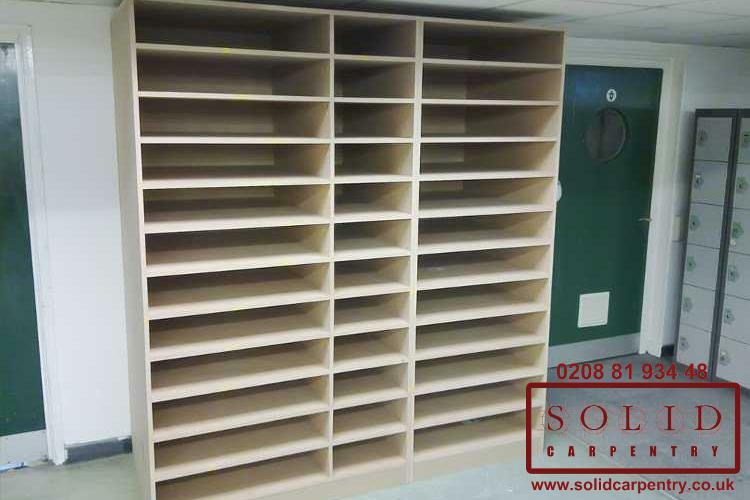 At Solid Carpentry we can tailor make your tv and media furniture to suit your exact requirements, whether that be a single unit or a fully integrated, multi-purpose storage system. 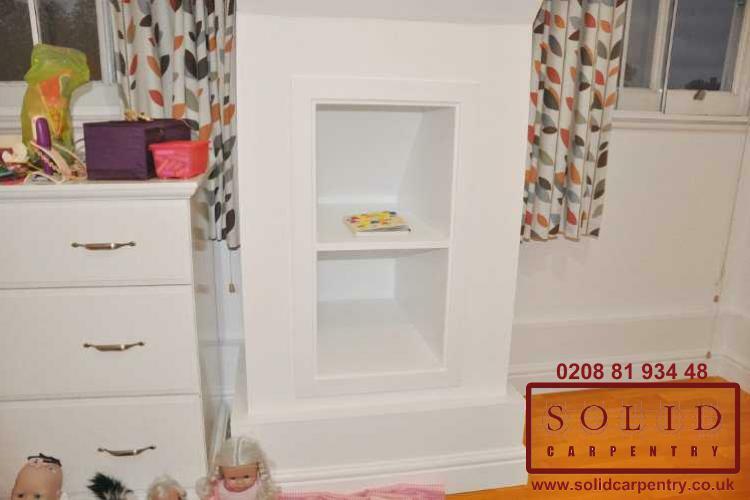 Furthermore, unlike many ready-made media units, bespoke media furniture can be fitted to complement your living room’s size and layout and finished in materials that match your furniture and décor. 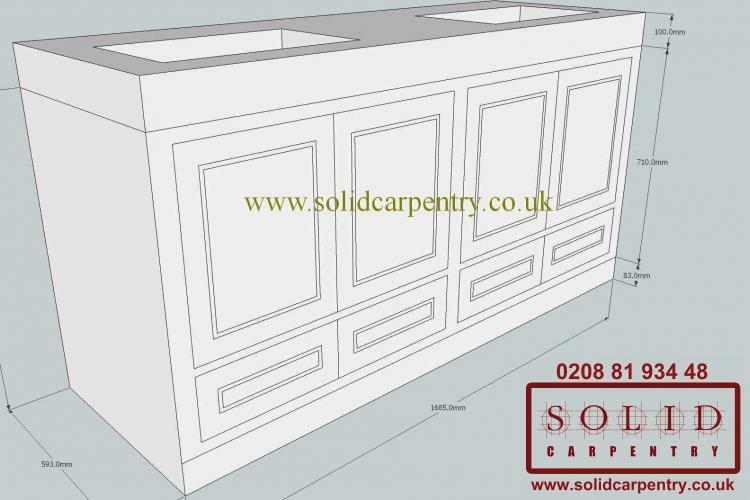 To ensure your bespoke media unit accommodates your way of living, we will work closely with you throughout the design and construction process. 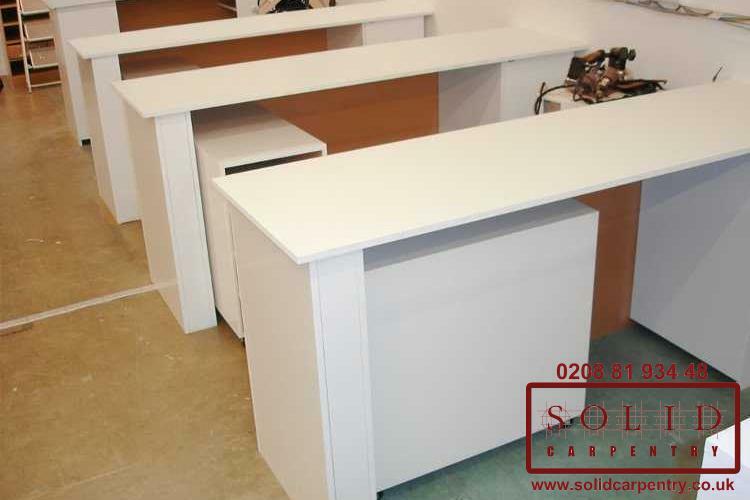 There is nothing ‘everyday’ about our work. 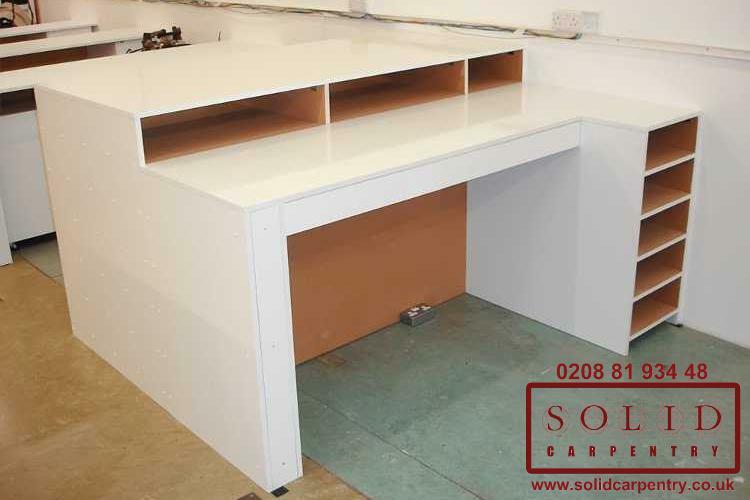 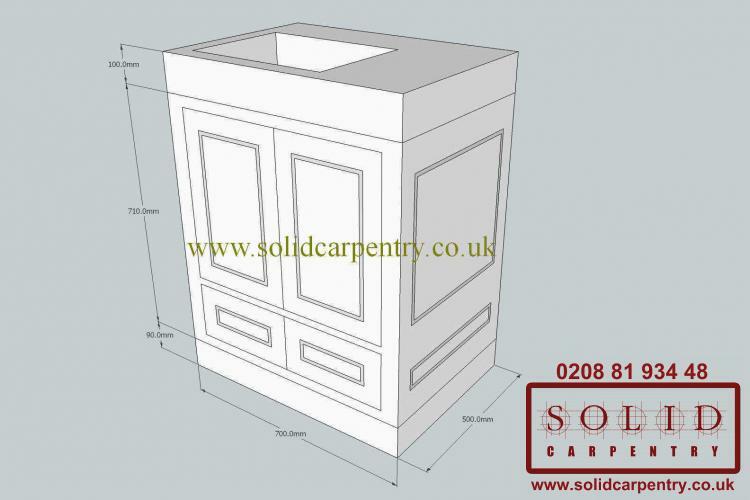 Our trusted carpenters will take time to understand your exact requirements and what it is you hope to achieve. 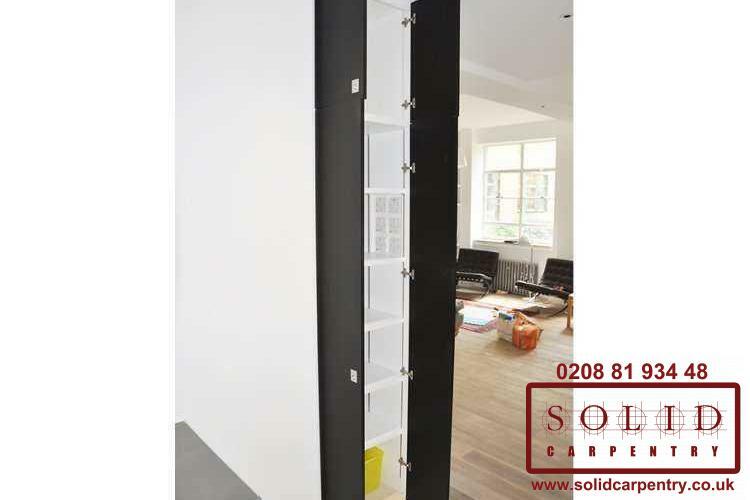 We know you take great pride in your living space and we are dedicated to creating a practical storage solution that does everything you need while honouring your individual style. Fed up of unsightly wires? 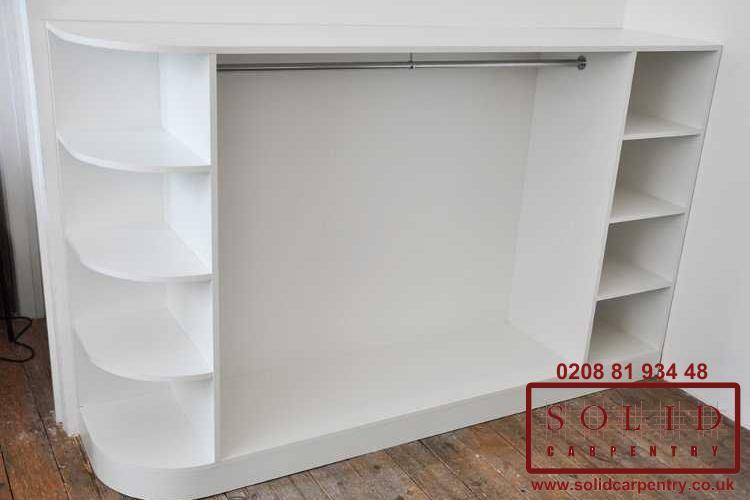 We can ensure all of your wiring is concealed and threaded through the media unit. 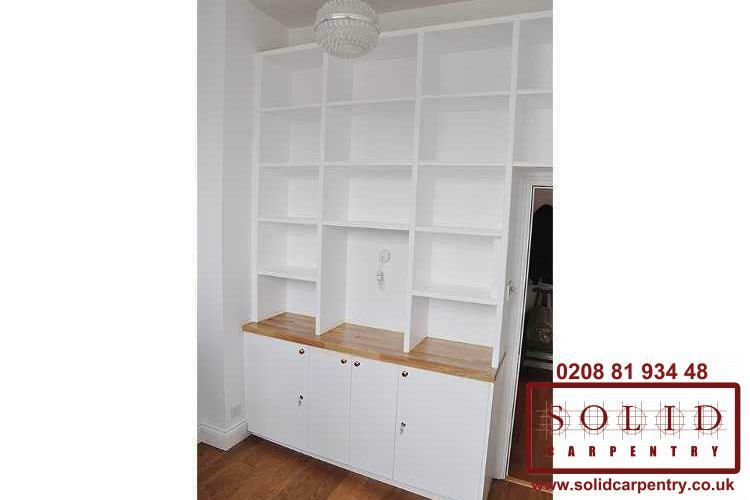 We can incorporate removable shelves, integrated lighting, or magnetic boards. 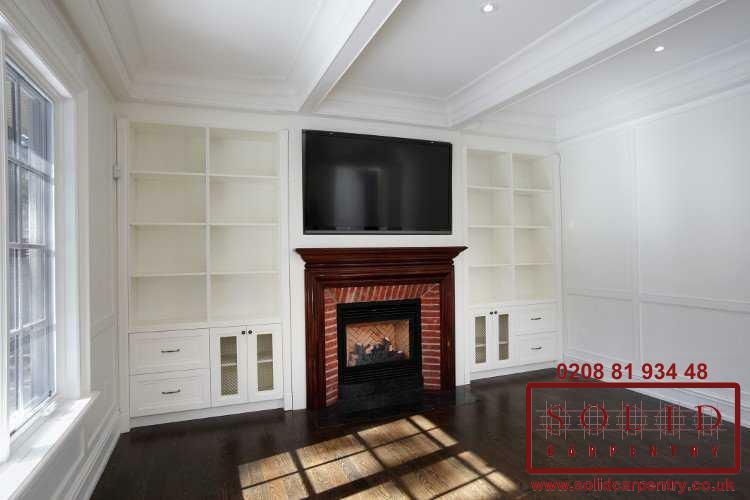 We can accommodate CD collections, projectors, and much, much more. 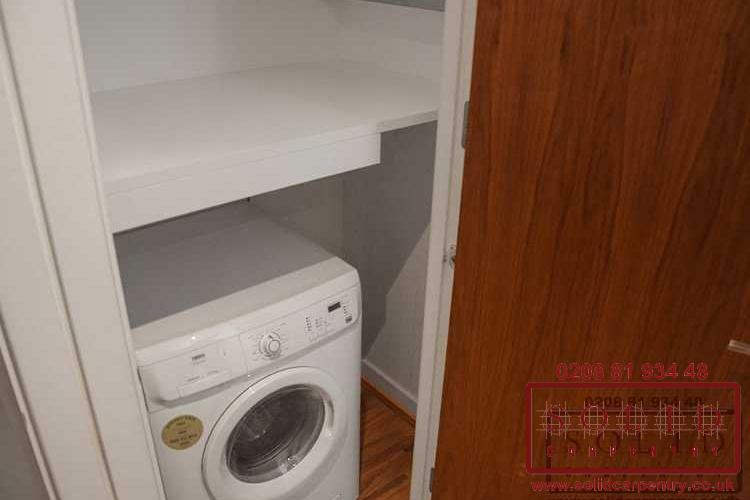 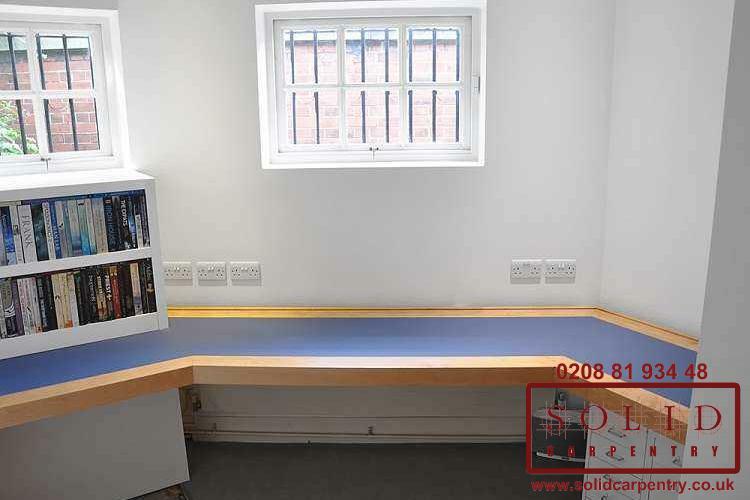 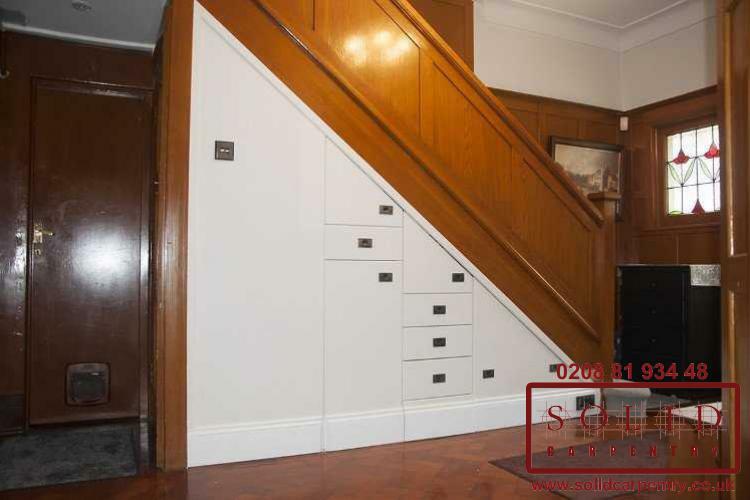 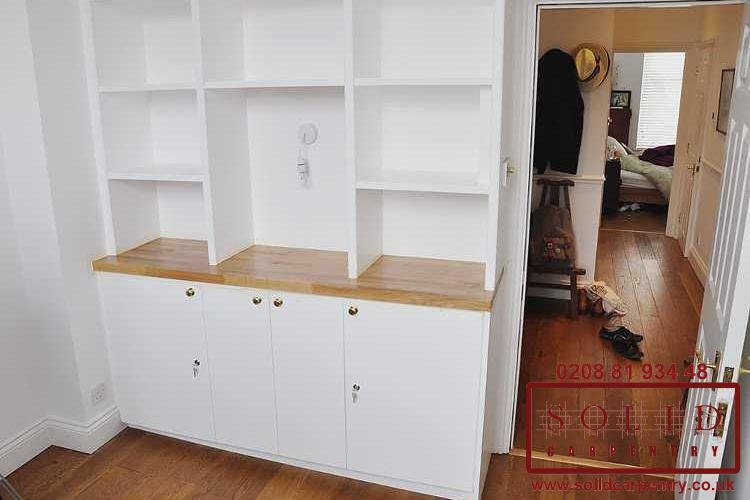 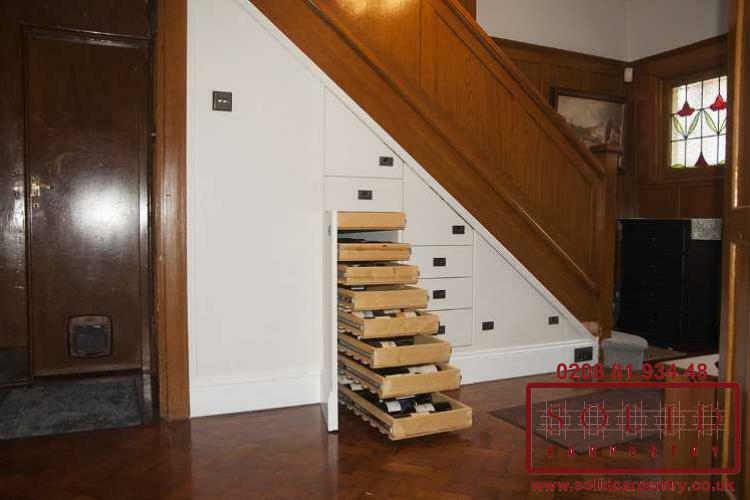 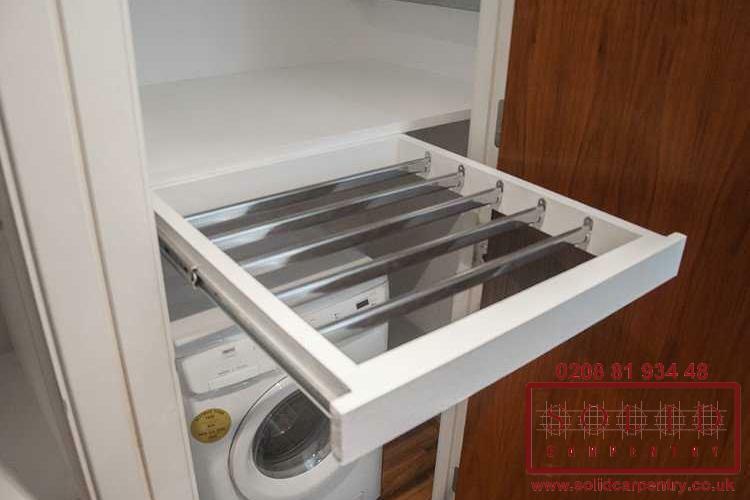 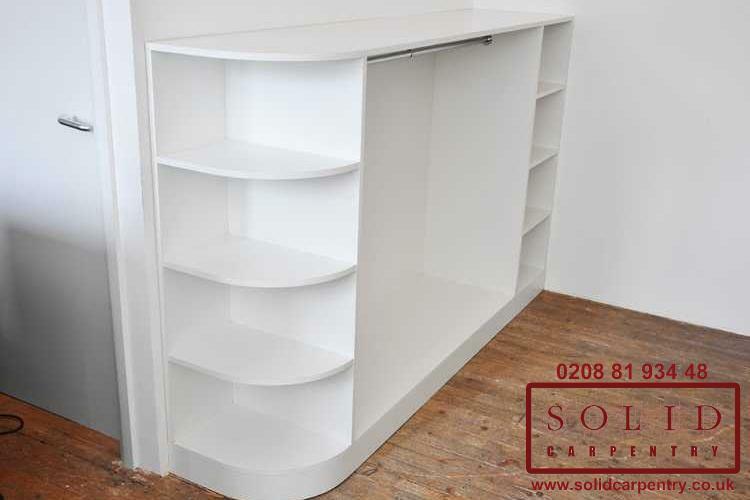 When it comes to bespoke media storage furniture, the possibilities are endless. 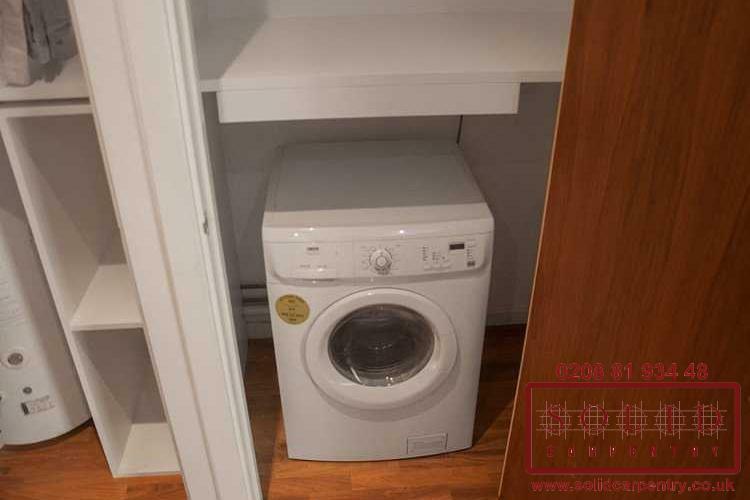 It is, after all, made with you, for you. 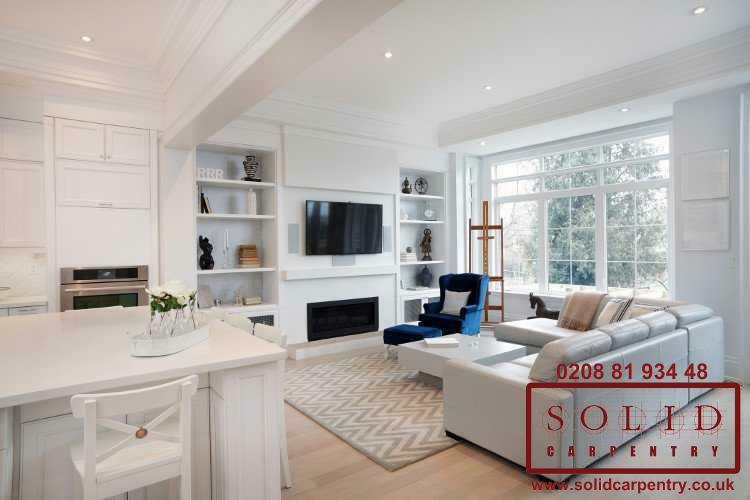 With more than 15 years’ experience designing and creating made-to-measure furniture in London and surrounding areas, we are true masters of our craft and have the expertise to create a stylish media unit for your entire home entertainment system. 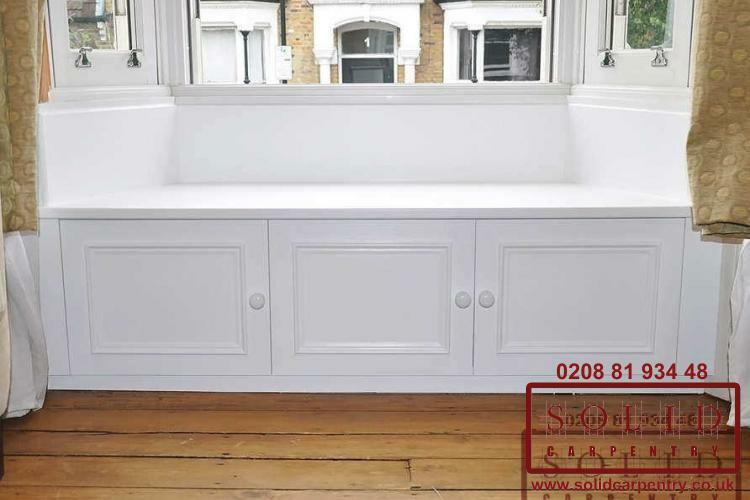 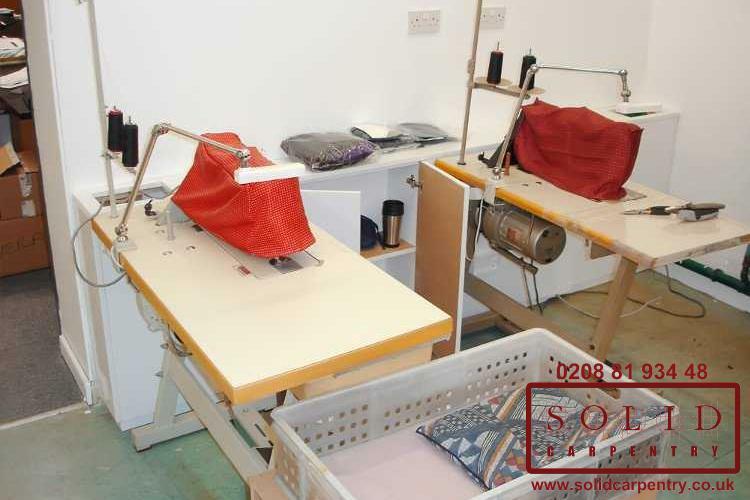 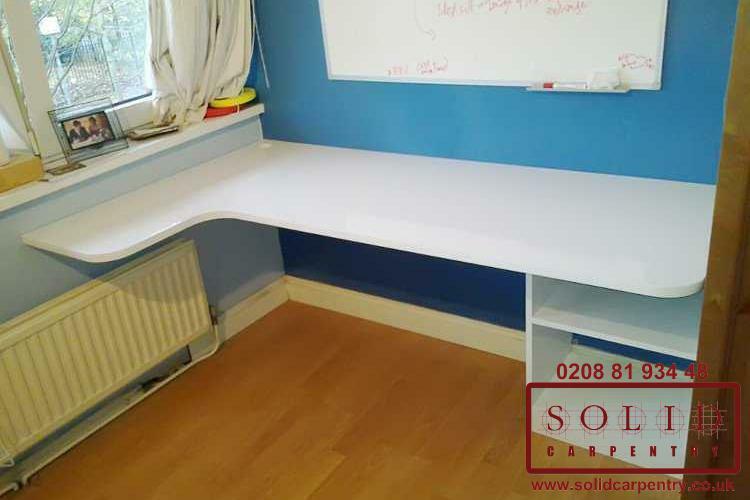 Contact us today or call 0208 819 3448 to get a free, no-obligation project and cost estimate. 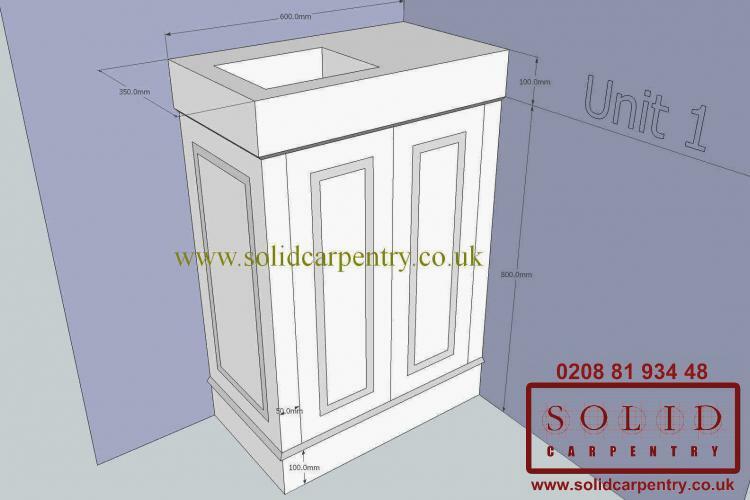 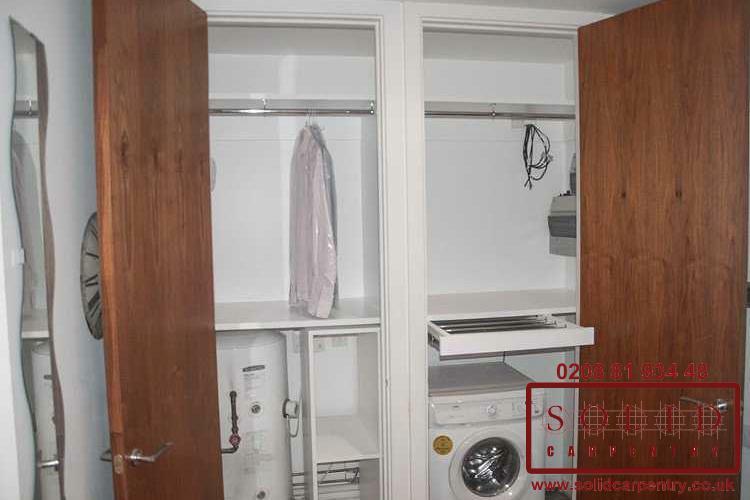 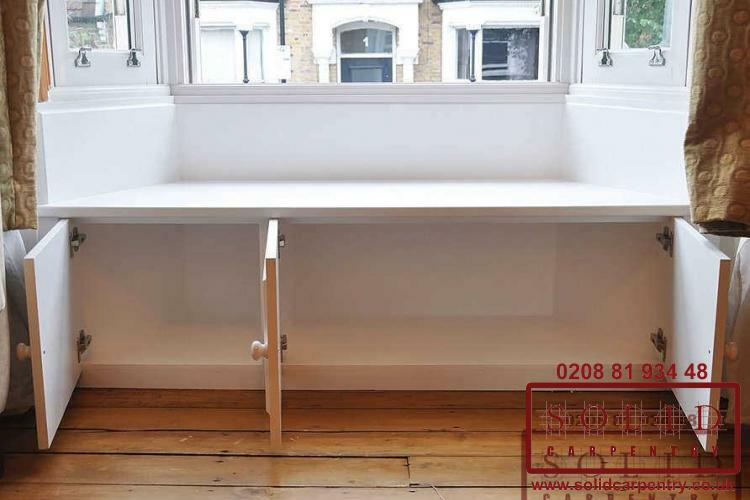 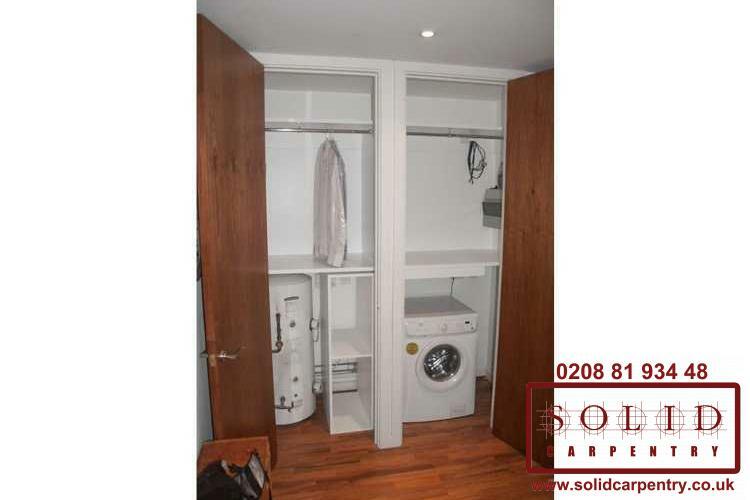 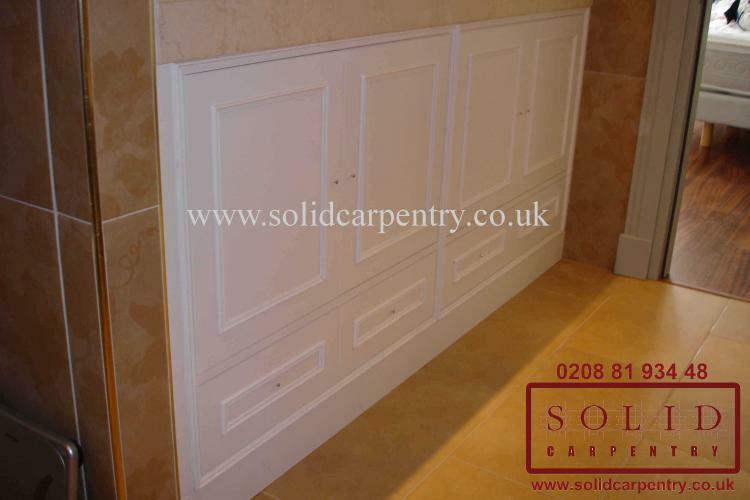 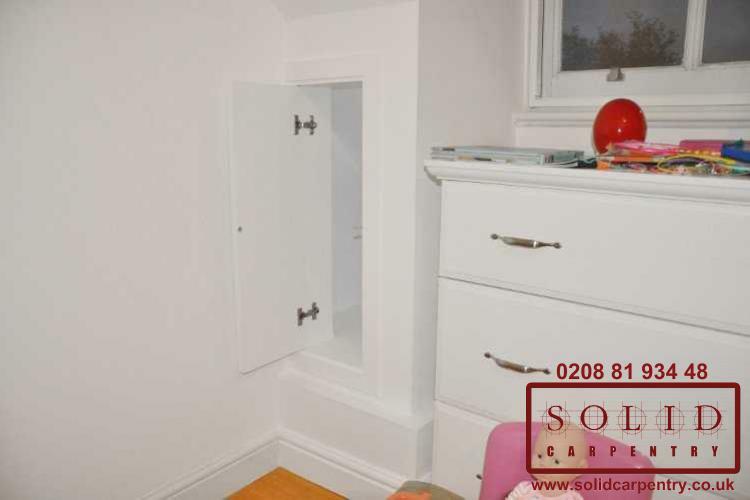 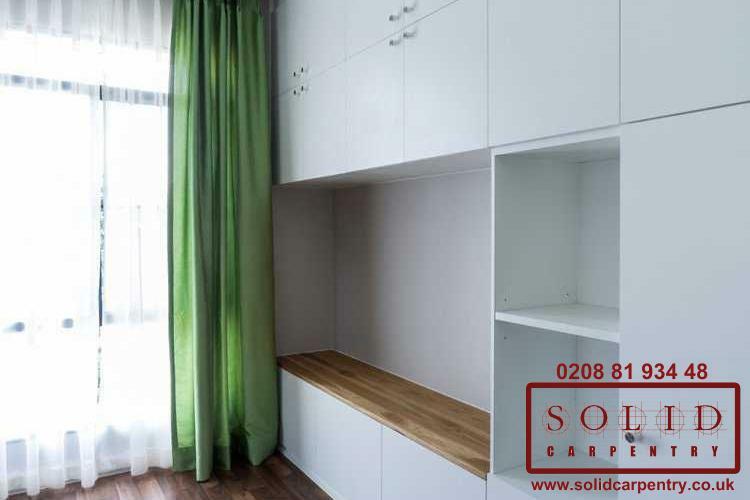 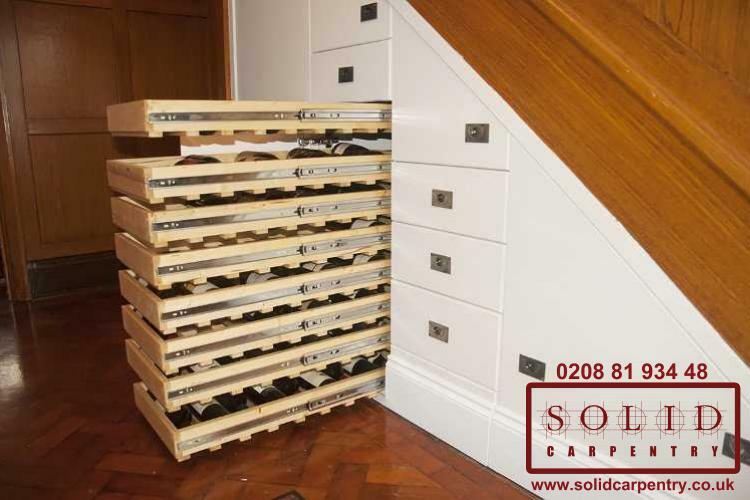 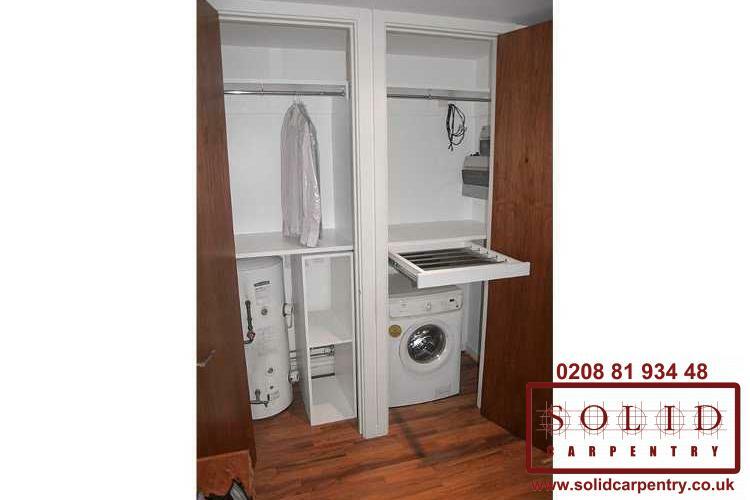 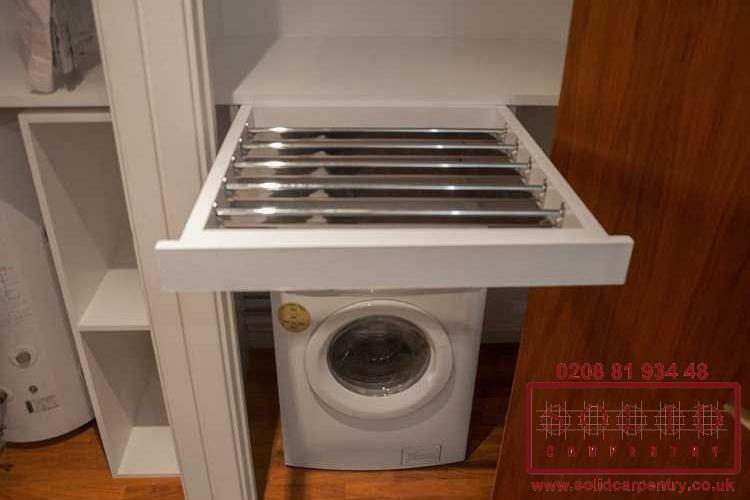 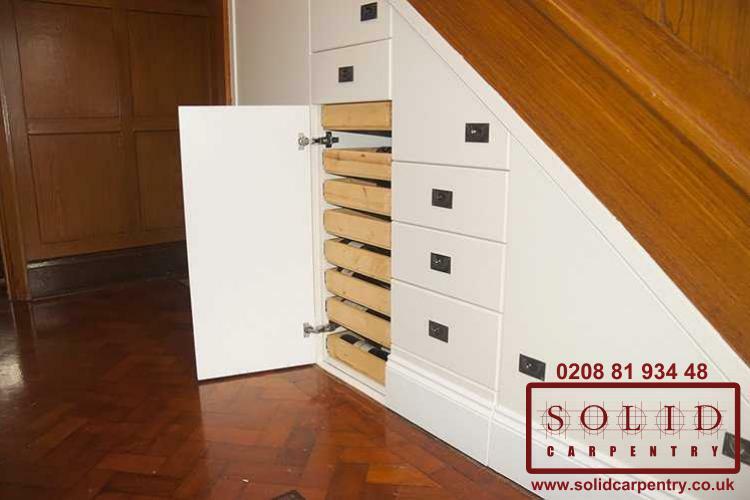 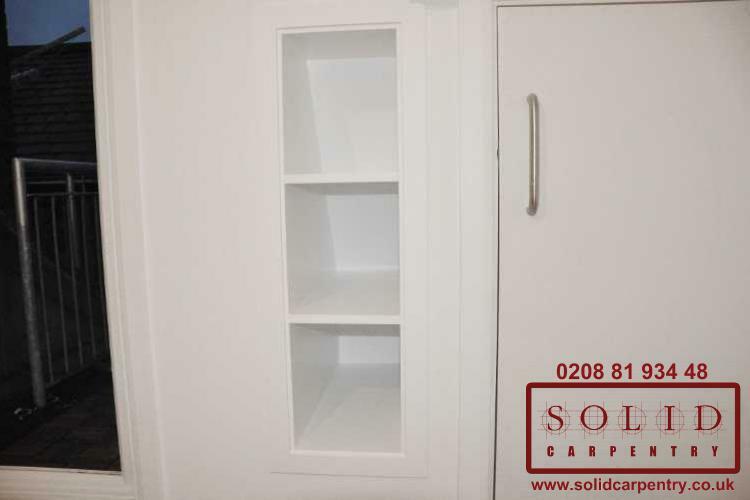 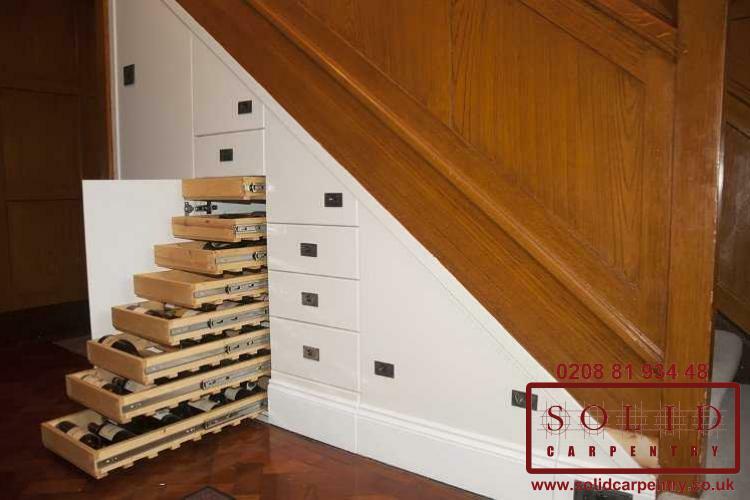 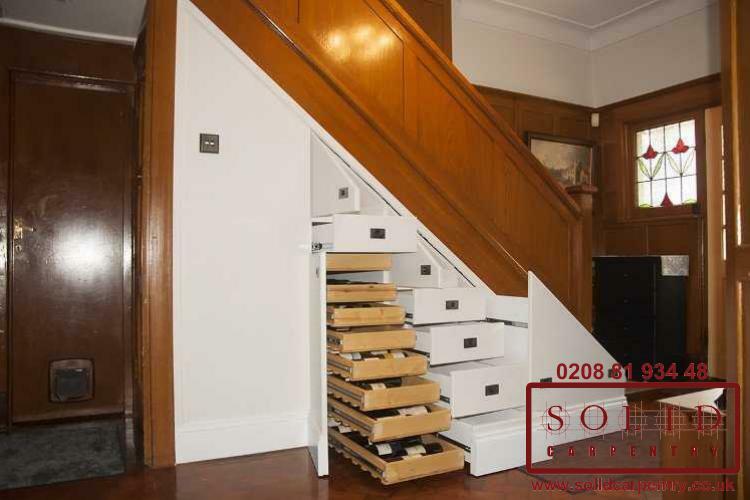 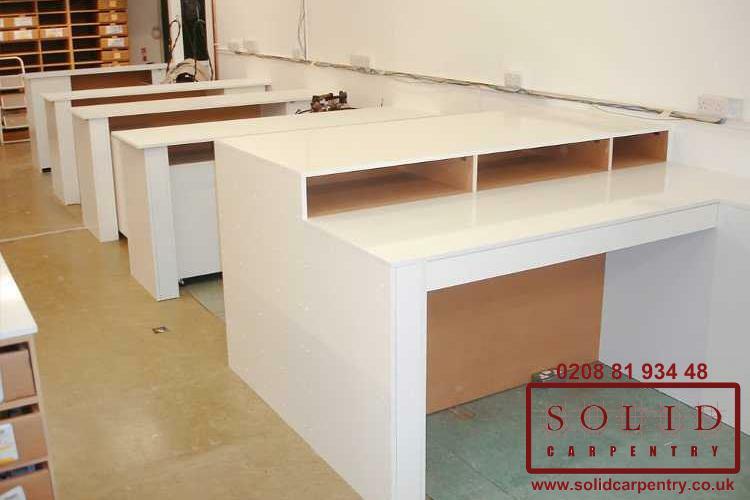 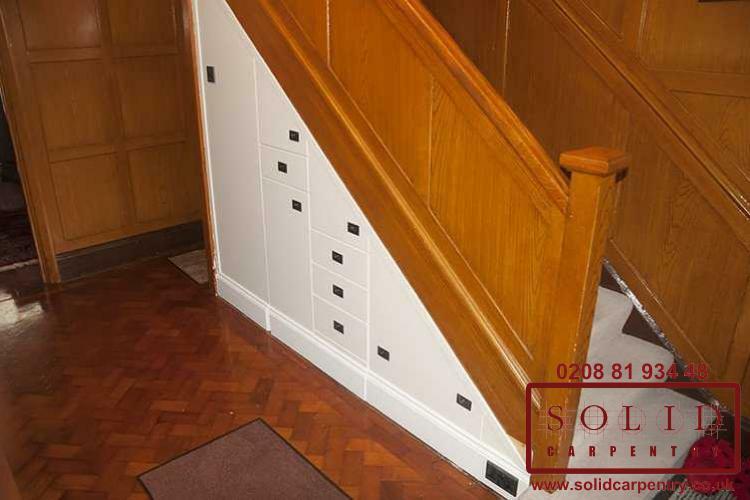 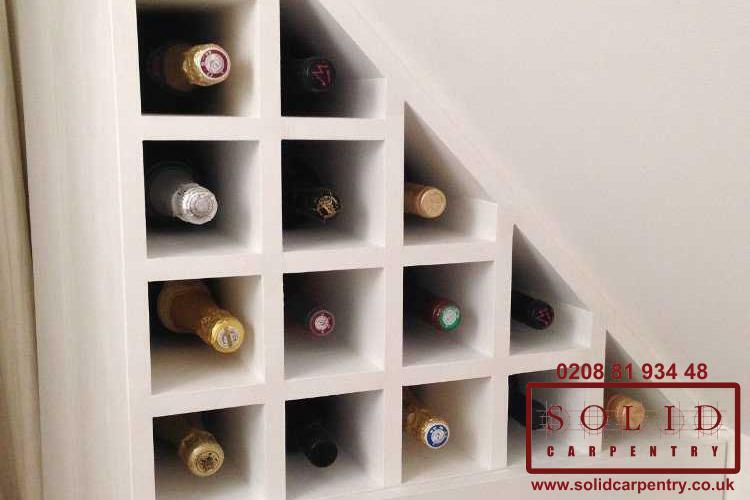 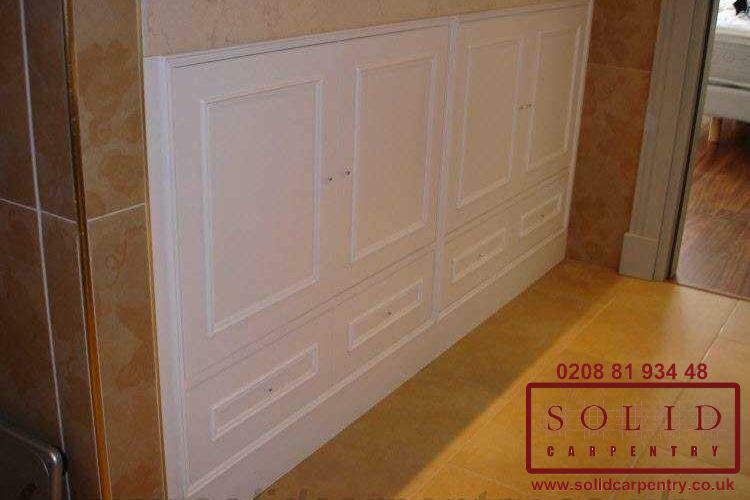 Solid Carpentry is very professional, fast and tidy. 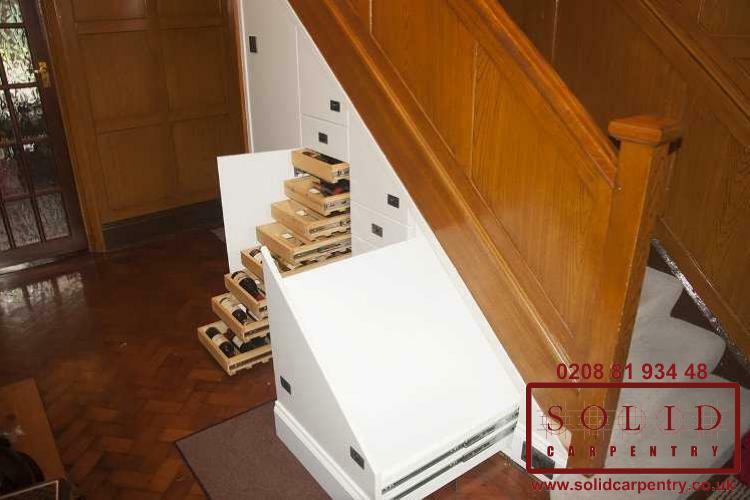 They came up with functional and effective solutions.